Sotheby’s Fine Jewels auctions are always sparkling events. My love of jewelry definitely comes from my grandmother. 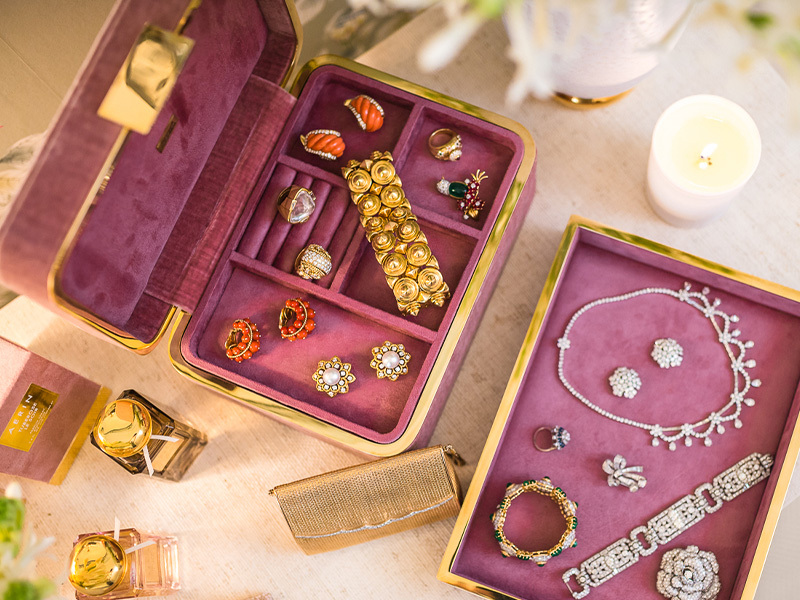 As a little girl I remember Estée taking off her jewelry at night and putting it in a dish on her dresser—I would reach up and take a piece to look at. My tastes are very similar to hers; beautiful strong pieces, color, and gold. I have donated two rings, one for daytime, one for night, to the Sotheby’s Fine Jewels auction on October 17. The proceeds will go to the Breast Cancer Research Foundation (BCRF), which my aunt Evelyn launched in 1993—it’s an organization that is close to my heart. 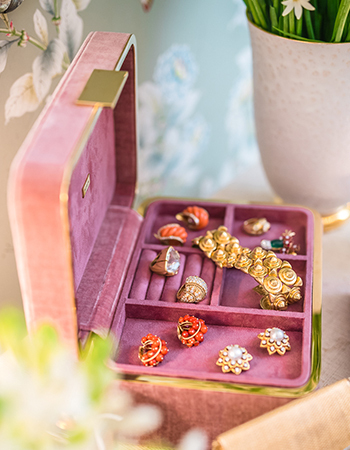 The inspiration for the rings I picked—a bold gold, rock crystal and diamond ring for daytime, created by David Webb, and a timeless antique gold and diamond ring for night by Van Cleef & Arpels—came from the new AERIN Tuberose Collection. The tuberose fragrance smells differently in the morning than at night, which led to the two fragrances—Tuberose Le Jour and Tuberose Le Soir. The packaging was very much inspired by jewel-like tones. Even the gold cap looks like a pair of earrings. 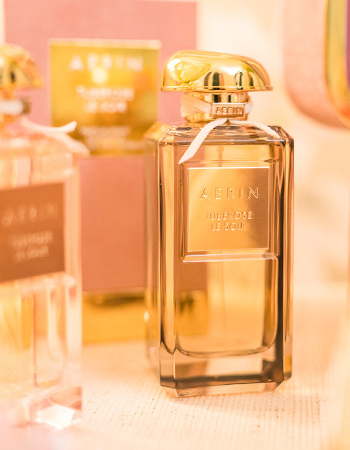 I think fragrance and fine jewelry have a similar magical quality, transforming how you feel and look in an effortless way, which has always been the ethos behind the AERIN brand. Fine Jewels will be exhibited at Sotheby’s New York from 13–17 October. Auction: 17 October. Enquiries: +1 212 606 7392.